Inspired by this event and now with the knowledge that I had two ways of getting things shipped to our doorstep – DHL delivered an almost 2 pound envelope to our doorstep for $31 three days after being dropped off in Oakland – I knew it was time to find the happy medium and get our own postal box at the appropriately named PostalBox at Interior Enlaces on 6ta. Ave. Norte. No.1, 7832-5546. We pre-paid the 20 pound weight and paid the $15 one-time inscription fee. It was Q500 even and we got our own “apartment” number. Anything that comes to our box gets shipped automatically and the weight gets deducted from our pre-paid amount. Economist, Harpers and Atlantic Monthly come on over! Posted on Tuesday, November 10th, 2009 at 11:31 pm. 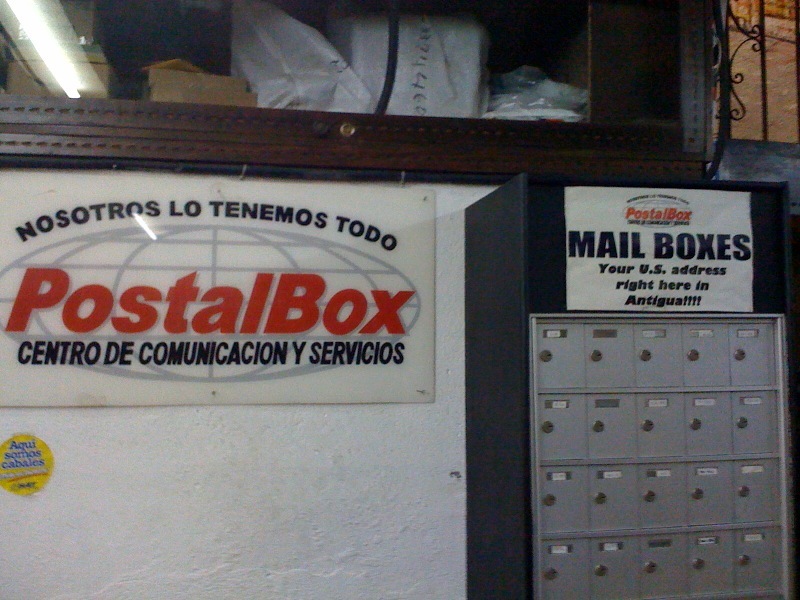 Filed under: Blog, Team Guate Tags: mail, New Yorker	RSS 2.0 feed. @Kara, I am glad things worked out with Daniel a PostalBox. However, don’t forget that shipping and handling is prepaid, but import duties and sales taxes are not; you still responsible for those. Good luck! Kara, what are you paying for import duties and sales taxes for this stuff? And 500Q sounds like a lot for 20 pounds!